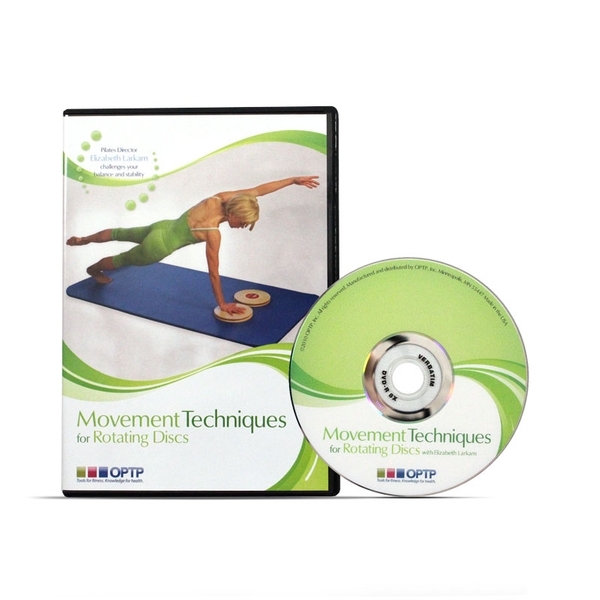 Increase core control and strength while enhancing balance and range-of-motion with Elizabeth Larkam's new instructional DVD, featuring OPTP's Pro Rotating Discs™ and Foam Disc Pads. Elizabeth Larkam is an internationally recognized Pilates Method Alliance Gold-Certified instructor with 23 years experience in clinical, dance, fitness and academic environments. DVD includes rotator disc exercise to help maximize core strength and flexion and extension of hips. Pro Rotating Discs sold separately.